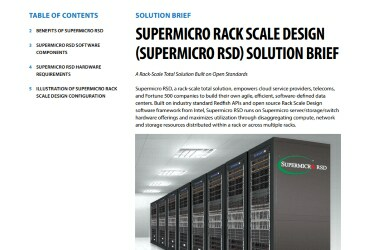 Cloud Solutions | Super Micro Computer, Inc. Simple. Easy. 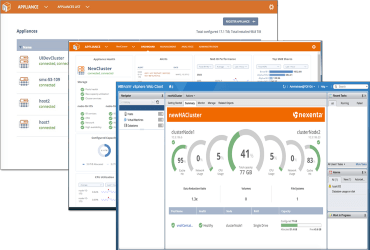 Cloud infrastructure that lasts. Digital transformation is not just a buzz word anymore; it is a critical business strategy for enterprises. Innovation in business demands a strong merger between ever evolving technology and your enterprise’s digital transformation strategy. 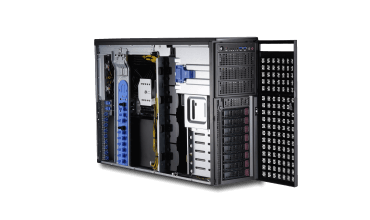 Cloud computing is foundational to an effective digital transformation, but many do not know where to start or are too afraid to upgrade their legacy servers and storage systems. Many companies spend time on legacy issues instead of investing in new technologies to evolve their business, but why? 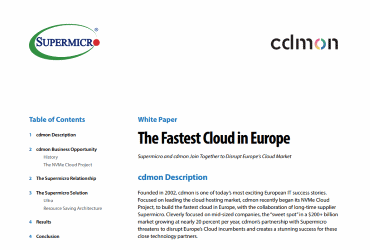 It’s because they haven’t found the right cloud computing partner… until now. 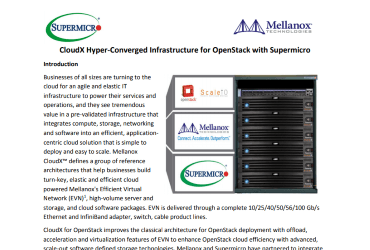 Proven Supermicro cloud system configurations have already been deployed across the entire range of datacenter environments including cloud service providers (CSP), media streaming, e-commerce, social, telecommunications, semiconductor, OpenStack, artificial intelligence (AI), content delivery networks (CDN), and hyper-converged infrastructure (HCI). 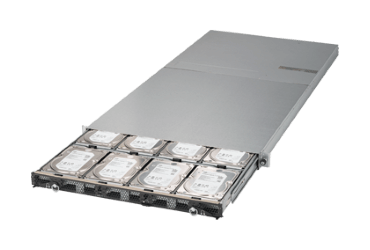 These systems are cloud optimized for scale-out, high performance at maximum density, and software defined storage (SDS). 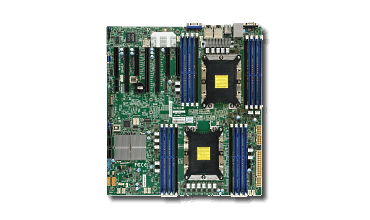 These Supermicro systems feature Intel® Xeon® Scalable processors and Intel® SSD “ruler” technology. 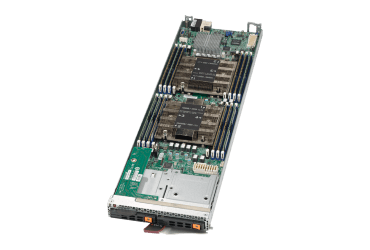 Many also come standard with integrated dual 10G ports per node to provide highly reliable, cost-effective, power efficient and fast 10Gb Intel network performance. 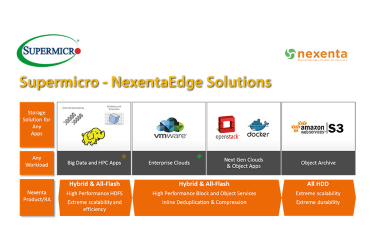 Accelerate your time to market with our proven cloud system configurations currently deployed at scale in datacenters by some of our largest cloud customers. 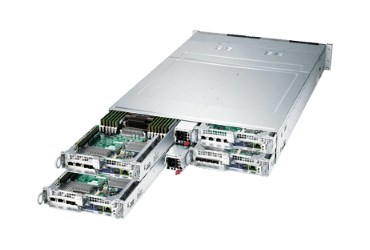 Experience virtual and on-demand access to the latest multi-cloud infrastructure solutions fueled by Supermicro systems featuring Intel® Xeon® Scalable processors, Intel® Optane™ SSDs, and the new Intel® SSD "ruler" storage form factor. 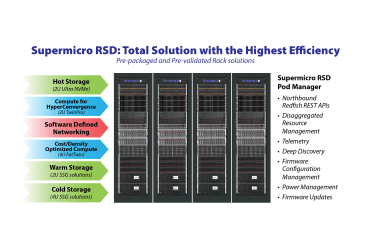 All of the exciting technologies will be delivered by Supermicro’s highest-performance NVMe BigTwin™ SuperServer®, Resource-Saving 45-Bay SuperStorage JBOD, and more! 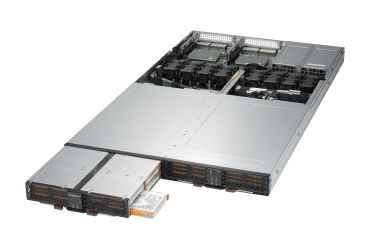 SUSE OpenStack Cloud delivers enterprise-ready technology for building Infrastructure-as-a-Service (IaaS) private clouds, giving you access to automated pools of IT resources to efficiently develop and run applications and workloads in your data center. 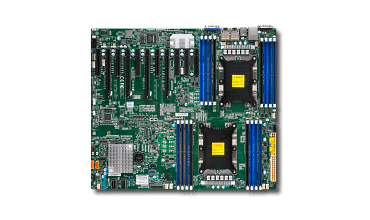 With Supermicro's server building block solutions based on the Intel® Xeon® processor E3 family with integrated Intel® Iris™ Pro Graphics, application and system developers can create very high performance video processing solutions using standard server technology, while also gaining flexibility, performance, and TCO benefits. 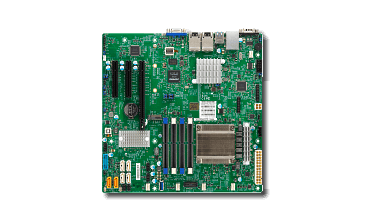 Our solutions are optimized for vertical market applications including Cloud Graphics, Media Broadcasting, and Media Analytics. 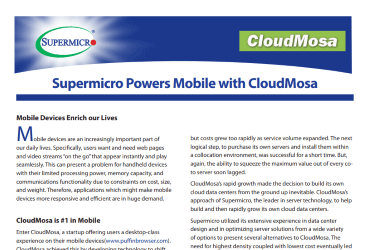 Contact Supermicro to learn how we can help you become a success. Findling, Serge, et al. “IDC FutureScape: Worldwide CIO Agenda 2018 Predictions.” IDC: The Premier Global Market Intelligence Company , Oct. 2017. Flinders, Karl. “Legacy Systems Holding Back 90% of Businesses.” ComputerWeekly.com , 19 June 2015. “What Is Digital Transformation?” The Enterprisers Project . Stolarski, Kuba, et al. 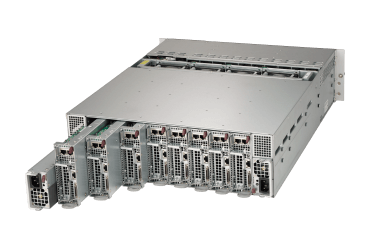 “Worldwide Server Market Revenue Grew 38.6% in the First Quarter of 2018, According to IDC.” IDC: The Premier Global Market Intelligence Company , 30 May 2018.